Senate candidate Jen Mangrum is seeking to unseat Sen. Phil Berger. On May 25, the news headlines read that Democratic state Senate candidate Jen Mangrum had been disqualified from her bid to unseat Sen. Phil Berger, arguably the most powerful state lawmaker in North Carolina. Republicans had challenged Mangrum’s residency in Berger’s district near the Virginia line, and a panel of election officials from Berger’s Senate District 30 voted on party lines to oust Mangrum, a serious blow to the candidacy of the UNC-Greensboro professor and former elementary school teacher. Yet hours after the story broke, Mangrum told her supporters in a Facebook video that her race was just beginning. She filed shortly thereafter to appeal her case with the N.C. State Board of Elections & Ethics Enforcement, a hearing that’s likely to take place later this month. This week, Mangrum tells Policy Watch that she’s feeling bullish about her chances before the state board, which is composed of four Democrats, four Republicans and one unaffiliated member. Meanwhile, her Facebook video has been viewed more than 20,000 times since last month’s controversial vote to disqualify her. Berger did not respond to Policy Watch interview requests to discuss Mangrum’s pending appeal, but at least one March poll from left-leaning Public Policy Polling suggested the Democratic candidate has a chance against the powerful Republican, who did not face a Democratic opponent in the 2016 election. 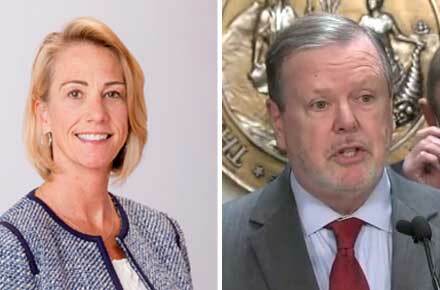 Indeed, the Mangrum-Berger race has major implications for North Carolina politics, but outside of Senate District 30, Mangrum’s rocky road to the ballot highlights an election law conflict spurred by the state’s rapidly shifting district lines in recent years, the product of myriad allegations that GOP lawmakers manipulated state and federal district lines for their benefit. Mangrum’s case is tortuous. She’s a former Republican who, following Trump’s election, changed her party affiliation to Democrat last January. Shortly after, Mangrum said she began mulling a run against her longtime state senator, Berger, but she needed permission from her employers in the university’s School of Education, a permission that did not come until September 2017 [Update: An order from the Senate District 30 election panel incorrectly wrote that this permission arrived in October 2017, according to Mangrum]. In the meantime, North Carolina lawmakers overhauled district lines, following a July 2017 district court order that legislators redraw racially gerrymandered state voting districts. Mangrum’s Greensboro home was drawn out of Berger’s district, but the Democratic candidate said she began renting a Reidsville home—which was up for sale—within the new district lines on Feb. 1 of this year. According to Mangrum, she began renting the home to run against Berger, and because she was separating from her husband. She registered to vote in the district Feb. 2, and, about three weeks later, Mangrum filed to run against the influential Republican lawmaker. She was ultimately the only Democrat to file against Berger. 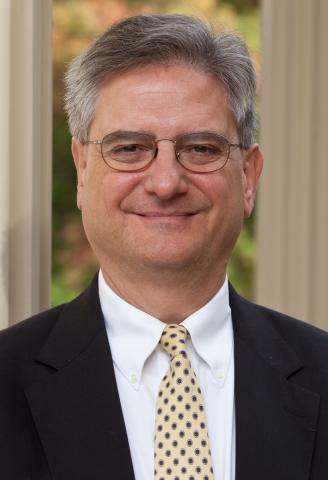 Bob Joyce, an expert in elections law at the nonpartisan UNC School of Government, declined to talk the specifics of Mangrum’s case, but he said no state law forbids an individual from moving in order to run in a certain district. Joyce said that the state constitution provides that an individual must be registered to vote in that district. Meanwhile, proving residency is “not a science,” he said, and is determined chiefly by what a person does to establish himself or herself in a new home. “It is a combination of your actions and your intent,” he added. In addition to changing her voter registration, Mangrum said she updated her driver’s license, set up mail delivery, and registered her car in Rockingham County. Still, in March, a Rockingham County travel agent, Billy Cushman, filed a complaint challenging her candidacy, questioning whether Mangrum lived in the home before the Feb. 28 filing deadline. Cushman, a volunteer for Rockingham County Republican campaigns, acknowledged in a May deposition that he agreed to challenge Mangrum after speaking with Rockingham GOP Chair Diane Parnell about rumors that Mangrum wasn’t actually residing in Reidsville. Cushman added that he didn’t speak to Berger or anyone working with the senator’s campaign, to the best of his knowledge. According to that deposition, Cushman said he gained access to the home by faking interest in buying it, even providing a false name to the real estate agent. In an affidavit laying out his claims against Mangrum, Cushman claimed that her Reidsville home had been unoccupied as of Feb. 11, although in his deposition, Cushman said he could not recall where he received that information. Cushman did not respond to a Policy Watch interview request; nor did his attorneys, Gary Rickner and Emily Massey of Ward & Smith, P.A. in Raleigh. One of Mangrum’s Reidsville neighbors testified to witnessing her return home each night. Yet, despite the apparent gaps in the complaint, the local elections panel voted 3-2, strictly on party lines, to disqualify Mangrum. During those local panel proceedings, Mangrum said she faced questions about whether she’d reunite with her husband, or if her children—who still lived in Greensboro—spent time with her in Reidsville. Mangrum was also reportedly asked whether she attended a local church or subscribed to a local paper. Yet those factors seemed to play some part in the local panel’s decision. Local news site, RockinghamNow.com, quoted one panel member, Robert Robertson of Stokes County, speaking openly of Mangrum’s relationship with her husband in May. Mangrum filed her appeal of the panel’s ruling immediately afterward, and today Mangrum said she’s confident that she’ll win. Faced with the controversy, Mangrum said the realtor asked her to move from the Reidsville home she was leasing, and the Democrat said she moved to a new Reidsville house within district lines May 1, a change that should not affect her eligibility one way or the other. Under state law, the State Board of Elections & Ethics Enforcement will consider the local panel’s hearing in making their decision “on an expedited basis.” That decision may be appealed further to the Court of Appeals. If Mangrum is ultimately ruled ineligible, state law provides for Democratic officials in the district to name her replacement.